General Presley was born in Dallas, Texas, on 10 October 1920. He graduated from Edinburg High School, Edinburg, Texas, and attended the University of Texas at Austin and Southern Methodist University, Dallas, Texas. His distinguished military career began upon his enlistment into the Reserve Corps on 27 April 1942, and his entry into the Aviation Cadet Program on 18 September 1942. Upon graduation he received a dual rating of Pilot/Observer and was commissioned a Second Lieutenant at Brooks Field, Texas, on 26 June 1943. After serving with the 13th Tactical Reconnaissance Squadron flying in support of ground forces training in Louisiana and Tennessee, he was reassigned to the Asiatic-Pacific Theater for the duration of World War II from August 1945 to June 1946. He transferred to the Reserves and then entered the Texas Air National Guard on 8 December 1948 and was assigned to the 181st Fighter Squadron, Hensley Field, Dallas, Texas. He served in various positions such as Pilot, Aircraft Maintenance Officer, Executive Officer, Deputy Commander ,and ultimately as the Commander. His command ability was further recognized by his selection as the Commander of the 136th Fighter Bomber Group in 1954. He served in this capacity until 1964 when the unit converted to the KC-97 aircraft. He then assumed command of the newly formed 136th Air Refueling Group. General Presley's efforts were recognized when the unit received the first of two Air Force Outstanding Unit Awards in October 1969. When the Air Force reorganized the 136th, General Presley became the Vice-Commander of the 136th Air Refueling Wing. Among his many awards, General Presley has received the Legion of Merit, Meritorious Service Medal, Air Force Commendation Medal, Combat Readiness Medal with 2 Oak Leaf Clusters, and the Texas Lone Star Distinguished Service Medal. 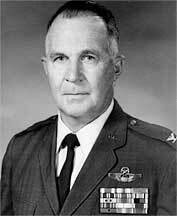 General Presley retired on 31 October 1975 in the grade of Colonel after more than thirty-three years of distinguished service to the United States Air Force, the National Guard of the United States, and the State of Texas. In recognition of his long and meritorious service to his State and country, Colonel Presley was promoted to Brevet Brigadier General, National Guard of Texas. His accomplishments reflect the spirit and dedication worthy of emulation.